Discussion in '.UK Domain Name Consultations' started by Marcoose, Sep 27, 2012. Posted in error. No need to worry....yet! Easily misread those Nominet emails.. Yes, I misread it too ! Got me too! Have to say, that email really pushes .co.uk as the only .uk choice. Doesn't come across as a company about to introduce a new extension? Nominet is launching a consultation on the potential introduction of a new service, which if approved would signal a significant change for the .uk domain name space. 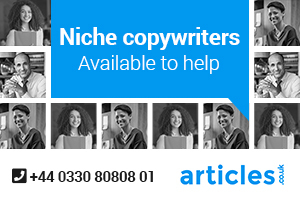 The proposed new service, called direct.uk, is aimed at businesses and would potentially offer shorter domain names registered at the second level (i.e. www.yourbusiness.uk) as well as one of the most comprehensive package of security features available. We are now seeking views from all stakeholders on the potential introduction of this proposed new service, which would be made available alongside the existing .uk portfolio. Nominet's Director of Operations Eleanor Bradley explains more in this video. You can view the proposals and respond to the consultation either by completing an online form at www.nominet.org.uk/go/directuk by downloading the consultation and emailing your comments to direct@nominet.org.uk, or by requesting a hard copy of the consultation from direct@nominet.org.uk. All feedback needs to reach us by Monday 7 January 2013.
mine timed out on the upload at the end. Another gold-rush in the making ?? I have just spent 90 minutes providing detailed feedback to every single question that gave the option of a response. If you have an opinion on the matter I'd advise you to do likewise, and to take the time to structure a measured, logical argument (no matter what case or point of view you're trying to put across) as this data will be collated and your responses could be excerpted in the public record. I will not be drawn on what I wrote, because I believe the very last thing we need is for there to be any perception of "survey knobbling" i.e. for a bunch of similar responses to be received from one particular cohort (domainers) thereby tainting the perceived validity of all responses. But it shouldn't take much imagination to guess what I wrote, if you've followed any of the discussions over the years! It's going to be discussed on here at Acorn , Thats unavoidable. It's going to be discussed on here , Thats unavoidable. I think he means to not post your response word for word - Otherwise people may just use it as a template which will devalue the response of anyone that does and the original. I'm not going to reply to the survey, but I feel like this could be a good thing for the UK online, although bad for domainers. Cheers Ashton - that makes sense. To my mind Nominet almost have predecided this one. No matter what the requirements are for obtaining the new 'Proposed' UK address (can't see that being too paper heavy at £20 a pop) once the domains out in public ownership - very difficult to maintain any sort of Strict control on it's usage etc. I will be responding probably later today, but first want to make sure I know exactly what's been suggested here. For example, these new security features, e.g. DNS SEC, are they not able to implement these on the current extensions? Or is it not possible that they will be able to do so in the future? Also, when did Nominet update their site design? When I checked yesterday it was the old one. That's exactly what I mean (thanks). However, even a summary that provides exact "talking points" can be similarly compromising if others are too lazy to do their own research and come up with their own unique "take" on the issue. Collectively we're likely to have similar opinions (I assume) about things such as who should get first dibs at .uk names, which names should be restricted under .uk, etc. but it's no good if Nominet receives dozens of similar-sounding answers with the same counter-arguments, in the same order (even if the wording changes a bit). A possible big ouch to all large .co.uk portfolio holders.. not good news? There is unfortunately a chicken-and-egg situation by virtue of the way this information has been disseminated. The video only scratches the surface of the issue - every page of the (long) survey has much more detail, some of which is VERY important. For example, it touches on the process of Sunrise i.e. 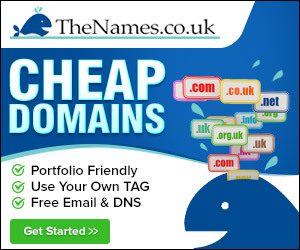 who should get first crack at .uk domains (may not be to peoples liking!) and also whether certain domains (e.g. place names, generics) should be blocked from being registered under .uk (ditto). But without going through the whole survey you won't be able to access this wealth of secondary background material. And if you read the whole proposal (by going through the survey) most may be disappointed, including current businesses - large and small - on .co.uk. Ah thank you, didn't realise they would provide more information through the survey... Guess I will be completing that later today then. Yes, quite literally pages and pages of information (some of it extremely dense reading). Both in the introduction to each section of the survey, and in the list of possible responses for multiple response questions. But as I mentioned above, none of this is obvious until you DO the survey!